I’d just retired from my job as a senior business executive when my dad was diagnosed with Alzheimer’s disease at the age of 75. He passed away several years later. Dad always saw the positive in any situation. I must get that quality from him. I miss Dad terribly, but I’m grateful that I was retired and could be there to spend time with him and to help Mom face the challenges of caregiving. I’m lucky that I had the time to help; I know that’s not the case for many. Caring for someone with Alzheimer’s can be a full-time job. It can be emotionally, physically and financially draining for the entire family. We’ve got to end this disease. That’s why I participate in Walk to End Alzheimer’s® and raise funds and awareness to advance the care, support and research efforts of the Alzheimer’s Association. 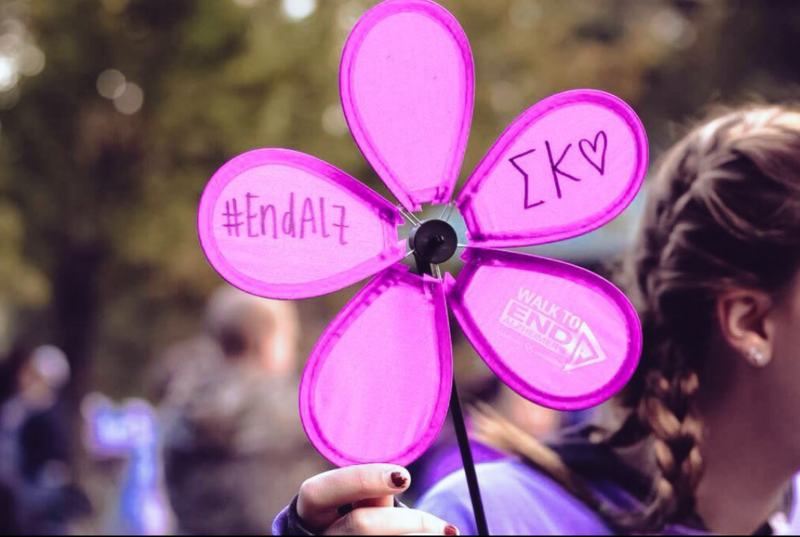 Walk to End Alzheimer’s is something we all can do to fight this disease. Don’t miss your chance to help this year. Register today.